Though we all work the same steps, each of us experiences the spiritual awakening resulting from them in our own way. The shape that spiritual awakening takes in our lives will vary, depending on who we are. For some of us, the spiritual awakening promised in the Twelfth Step will result in a renewed interest in religion or mysticism. Others will awaken to an understanding of the lives of those around them, experiencing empathy perhaps for the first time. Still others will realize that the steps have awakened them to their own moral or ethical principles. Most of us experience our spiritual awakening as a combination of these things, each combination as unique as the individual who’s been awakened. If there are so many different varieties of spiritual awakenings, how do we know if we’ve truly had one? 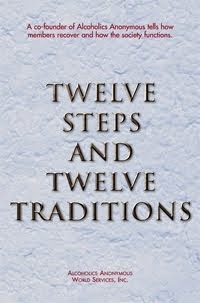 The Twelfth Step provides us with two signs: We’ve found principles capable of guiding us well, the kind of principles we want to practice in all our affairs. 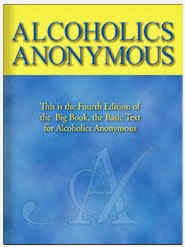 And we’ve begun to care enough about other addicts to freely share with them the experience we’ve had. No matter what the details of our awakenings are like, we all are given the guidance and the love we need to live fulfilling, spiritually oriented lives. Just for today: Regardless of its particular shape, my spiritual awakening has helped me fill my place in the world with love and life. For that, I am grateful.